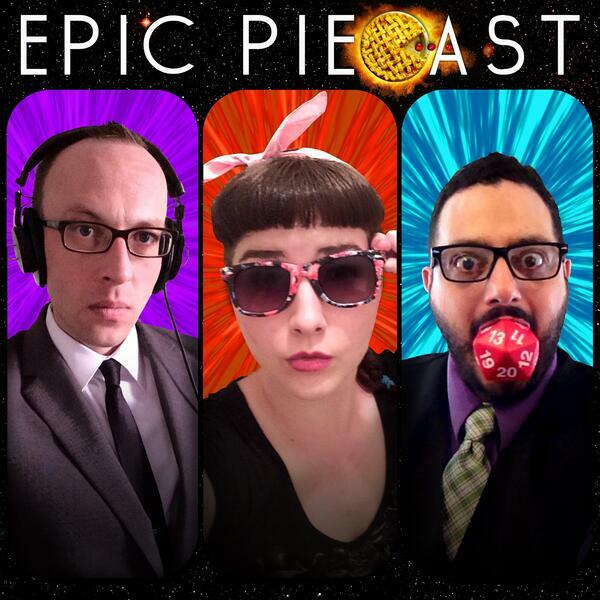 It’s EPIC PIEcast! Party with Nelson Lugo, Schaffer the Darklord, and Rachel Schenk as they dust off every corner of pop culture for discussion, debate, and deconstruction with all the snark and witty banter that they can muster. They're back EpicPiekerteers! After talking about summer movies, the Snarkcasters take a dip into the deep end of the mail bag to answer longstanding emails. They tackle all of your questions, comments, and neurotic ramblings with all the seriousness they give any topic - which is to say - not much at all. Is Nelson a bad feminist? Is Rachel the hardest working artist in show business? Will Schaffer rain pain and terror on to horrible bosses everywhere? All of these questions may or may not be answered. Brimp on brimpers! : Raging With That L.E.X.